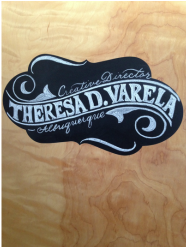 Hand lettering is a delicate and unique service, often accompanied by a unique cost. While cost may vary due to time, materials, location and intricacy, this page will give you a general idea of costs. Please contact us directly for a custom quote to fit your needs and budget! 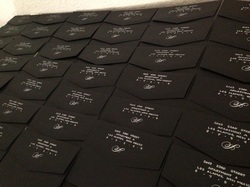 Envelope Addressing: $3.50 base price, 3 line address. Additional Lines $1.00 each. The standard costs for envelope addressing are for black ink on light paper, in Copperplate or Simple Script, or block printing. Extra costs are incurred for colored inks, writing on heavily lined or dark papers (guidelines must be drawn and erased for these), custom inks, and font matching, as well as unique flourishes or illustrations added to the envelopes. These costs are usually added in increments of .25 to .50 per piece, depending on degree of difficulty. Quotes are provided FREE of charge. To book an event, please allow 1 week per 100 envelopes and schedule at least 4 weeks ahead. There is a $25 set-up fee on all jobs, $50 minimum order. A deposit may be required to hold large jobs. $50 fee for any rush jobs. 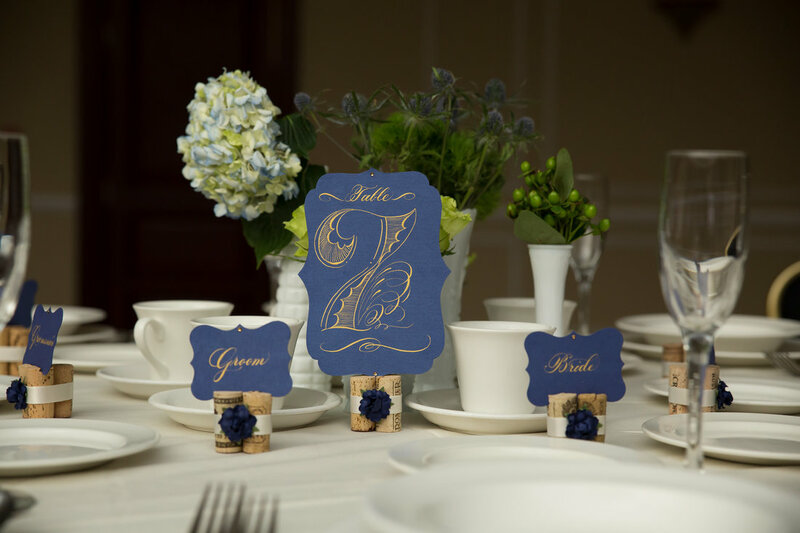 All envelope calligraphy jobs for weddings include a FREE envelope addressed to the Bride and Groom as a keepsake! In general, signage requires a custom quote. However, these are general guidelines for signage (writing only). We accept cash and checks for LOCAL clients only. PayPal is our preferred method of payment. Payment is due IN FULL at time of delivery, NO EXCEPTIONS.